Mature Tree, Grafted and Ready to Produce! The Champagne Loquat variety produces a large, oval, white-fleshed juicy fruit. Fruit forms in large clusters and has deep yellow skin like most other Loquat varieties, however ripens later than most. The excellent flavor is bright, tart, sweet, and somewhat astringent. Loquat is a flowering evergreen shrub/small tree with deep green leaves that flowers in the winter and bears golden-yellow fruit in large, loose clusters. The flowers are said to have a strong, sweet and fragrant smell that can carry over short distances. Loquat is an oriental fruit that belongs to the Rose and Apple family of plants. It is found from India and Pakistan all the way east to Japan. The fruit is high in vitamins, as well as fiber and potassium. It is an excellent natural source of sugars, and the fruit is high in pectin making it great for jellies and jams. Loquat's beautiful foliage has been utilized in traditional Chinese medicine for centuries as a remedy for throat conditions. Extracts are generally used in over the counter cough medications, especially in Asian markets. The leaves can be dried, powdered, and added to a tincture for use on the skin. 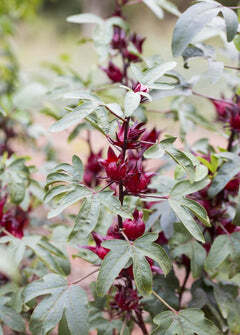 It is said to be an effective treatment for psoriasis and eczema. Soil & Moisture: Moist, well-draining soil, rich in organic matter. Water well when blooming but make sure the soil is well-draining. Climate Zones: USDA plant hardiness Zones 7-10. Loquats can handle temperatures in the teens but if frost occurs while flowering may not bear fruit.